At its Windows 10 event, Microsoft today announced a partnership with third-party tech giants to make cheap and accessible VR headsets. Could this be the starting point for VR gaming integration on Microsoft's new 4K-ready Project Scorpio Xbox console? 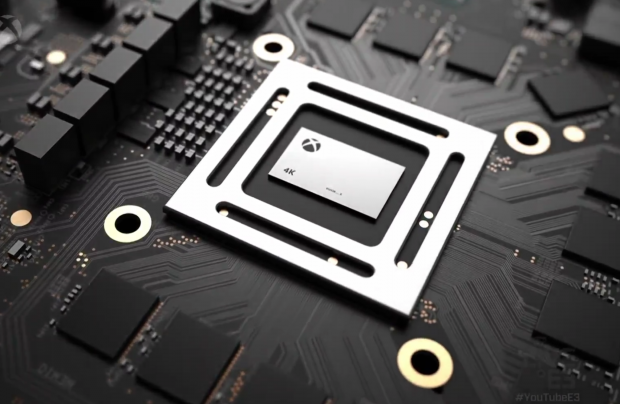 Microsoft is currently taking the initial steps to plot out VR support for its upcoming "monster" Project Scorpio console, which will support VR gaming experiences. 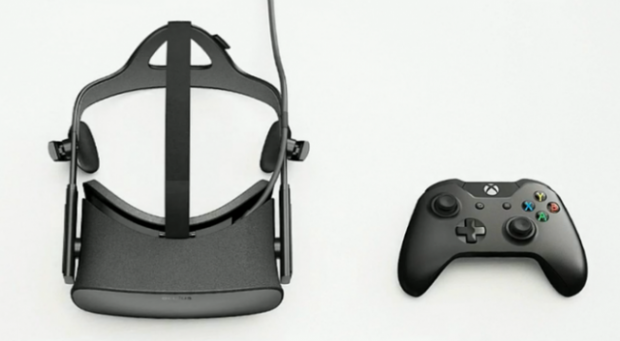 We originally predicted that Microsoft's Project Scorpio would be compatible with the Oculus Rift headset for VR gaming, especially given the company's partnership with Oculus. But now it looks like Microsoft could be going off on a tangent, and laying out plans to have another hardware giant build its VR headset. At the very least, though, Redmond is laying out the underlying software that will bind Project Scorpio's VR headset together with the Universal Windows Platform, and its Augmented Reality HoloLens will be along for the ride. Instead of making its own VR headset, Microsoft has decided to conscript third-party companies like ASUS, Dell, HP, Lenovo and Acer to make consumer-friendly HMDs. These VR headsets start at just $299, which is a huge jump from the $799 of the HTC Vive and $599 Oculus Rift, both of which require higher-end PCs to run. 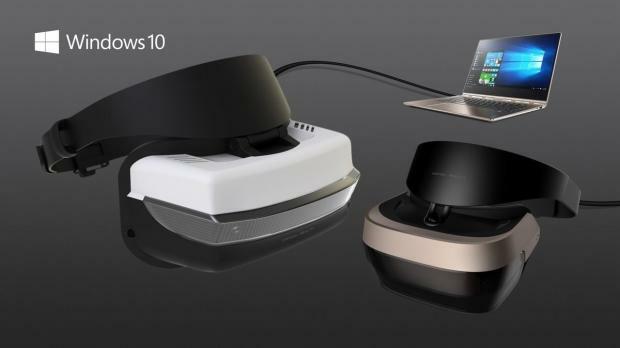 But the real key with Microsoft's new VR push is that the HMDs are powered by Windows 10. As such, the HMDs are not only unified to the UWP framework and Windows 10 family of a devices, technically including Xbox One and Project Scorpio consoles along with Win10 PCs, but Microsoft is also offering a number of VR-centric tools, software, and optimizations. For example, Microsoft is rolling out a new Windows Creators Update, a massive new suite of software tools aimed at VR and AR content creation. The update consists of new software including Paint3D, a major Microsoft Paint overhaul that allows users to scan pictures of real-life objects and convert them into 3D models on-the-fly. Those images can then be manipulated and planted into VR experiences with Microsoft's new Windows 10-powered VR headsets. Right now the VR headsets apparently aren't made for gaming; they've been described as "accessories for Windows Content Update," meaning they likely won't be very beefy in terms of horsepower, and probably won't be compatible with high-end gaming experiences like Oculus Rift and HTC Vive. But they don't have to be; not yet. The purpose of these VR headsets isn't gaming, but to allow Microsoft time to figure out how to tie the Windows 10 framework and toolset to Mixed Reality--AR and VR. Microsoft has built its AR-centric Windows Holographic system for Hololens over the past couple of years, and now they're taking what they've learned and melding it to VR, as well as rolling out new tools to experiment with VR. I see these VR headsets and Paint 3D tools as beta testing for Project Scorpio's VR tethering. While the VR headsets are more aligned towards consumer VR experiences instead of VR gaming, its the actual underpinnings that Microsoft is most concerned with right now. "There is a lot of talks in the back concerning playing games in MR! VR does allow you to enter a virtual world but only within a certain space, MR however further establishes this by blurring the lines between Reality and the virtual world. It sounds scary but it just shows how much can be created and enjoyed," Spencer told Play-Asia. "We can't get into the specifics at the moment but we can say for sure that everything is going swimmingly at this current stage!" Indeed Microsoft has made ripples with Hololens gaming, with games like Minecraft being compatible, and is currently shaping the Windows Holographic system to make it more robust. 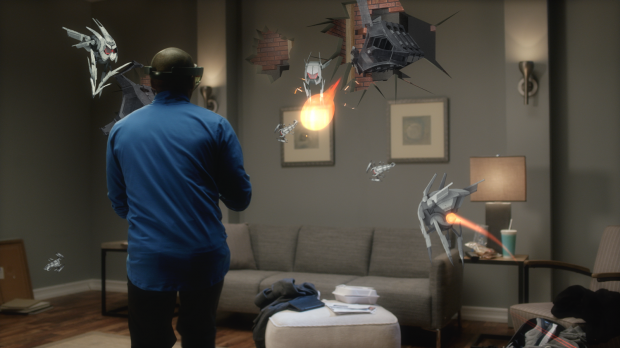 Hololens gaming looks to be quite engaging, allowing players to interact with digital AR projections in a real-world space, including amazingly immersive alien invasions and much more. It's kind of like transforming your living room into an arcade at any time. Now Microsoft is pushing towards VR and aims to lay out the foundations for its own console-based VR gaming. It's still possible that Project Scorpio could use an Oculus Rift for VR gaming, but the HMD's actual Oculus Home OS will be overhauled to Windows 10, and there will likely be more than a few tweaks. Suffice it to say, Project Scorpio's VR HMD will likely only work with Windows 10 PCs and devices, but that's just speculation my part. "The more power you can put behind your VR rendering, the more you can ensure that 90 frames per second synchronicity, the better experience a game developer can create. We're super excited about it," said Xbox General Manager of Game Publishing Shannon Loftis. Project Scorpio is slated to release Holiday 2017, but we're not sure if it'll launch alongside its own VR headset or not. 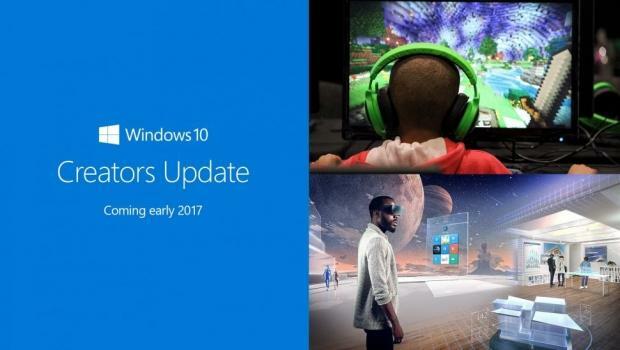 Microsoft's new Windows 10-powered VR headsets launch in 2017, and the Windows Content Update rolling out Spring 2017. Redmond likely has a bunch of moving parts behind the scenes, and it'll be interesting to see how it continues unifying its ever-widening UWP framework. P.S. I shared this whole Article here because I believe it has a lot of info (a lot to dream about the next gen of Windows VR's and XBOX's), in the original one are a lot of link to see more info I recommend to see, so take a look to the source link. Good analysis, but it is too early in the process to make speculations. This feels like every iPhone launch I've ever heard of or been a part of. 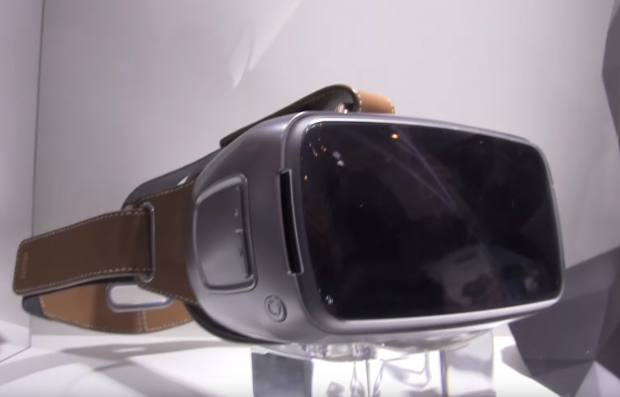 I only want to see the first $300 HMD working and quality, after that the effect on the market.